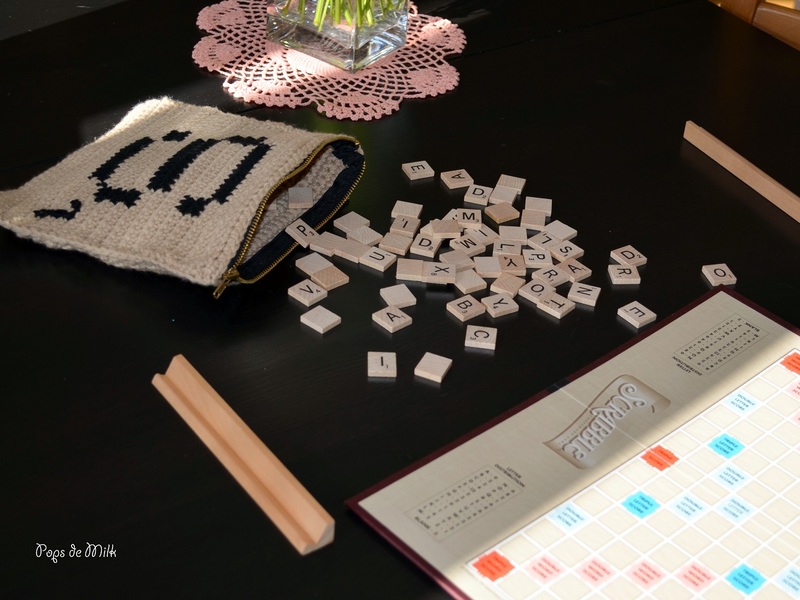 Do you know someone who is crazy about Scrabble? Wouldn’t it be amazing if they had a unique pouch that showed their love of word games? 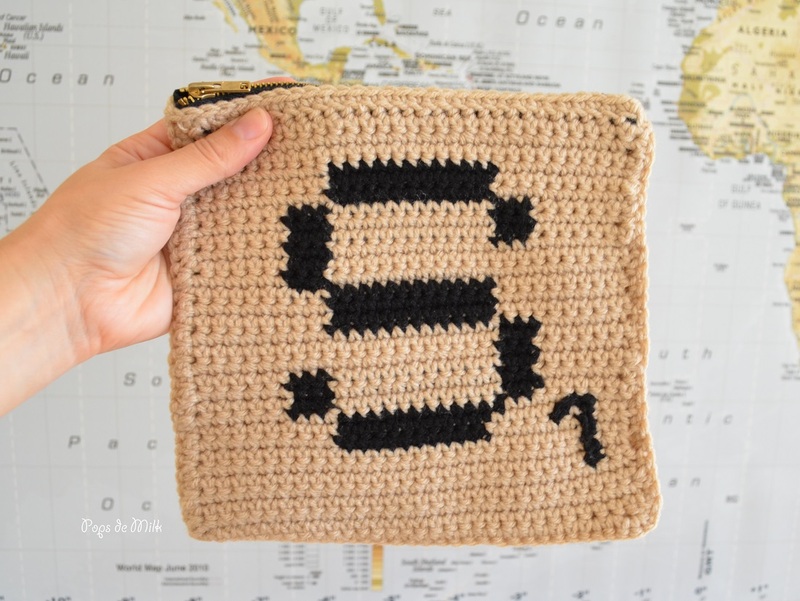 If you’re eagerly nodding your head then keep scrolling because today I’m sharing a crochet Scrabble pouch pattern. Notes: Follow the chart for colour changes. 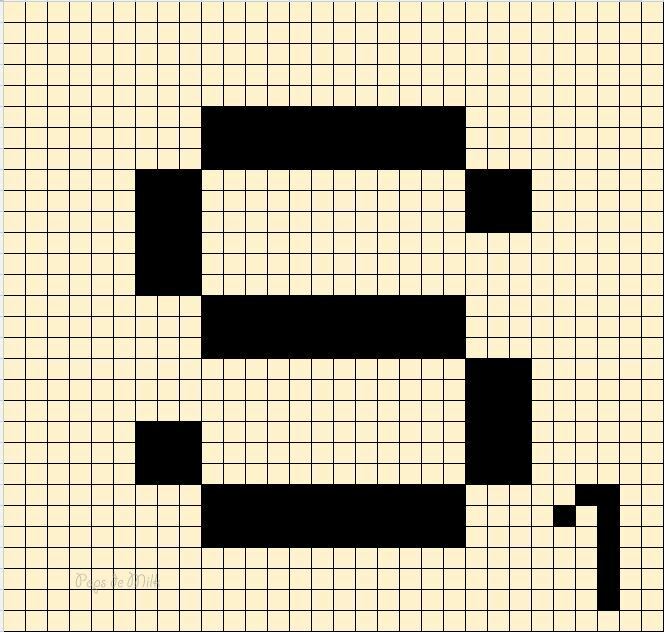 Each square represents one single crochet. 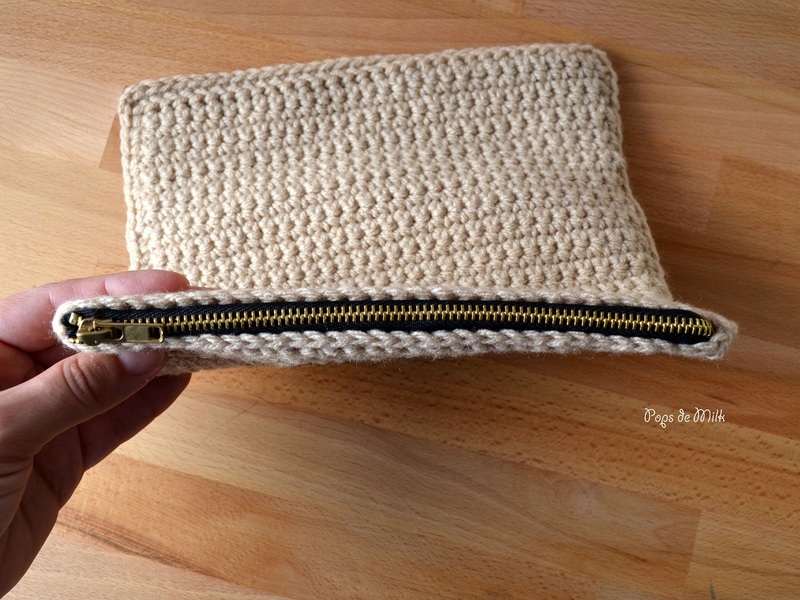 If adding a zipper to your pouch it may be easier to attach the zipper before joining the squares, something I wish I had thought of. This project is done using tapestry crochet, which means carrying the yarn when making colour changes for a neater finish. This also means that the fabric will be quiet thick and may look a bit warped – especially if you tend to use a tighter tension – so to lessen this effect I alternated hook sizes: when working with a single strand of yarn I used a larger hook and when working with two strands I switched to a hook, half a size smaller. If you add a fabric liner to your bag then it’s not necessary to carry the yarn. 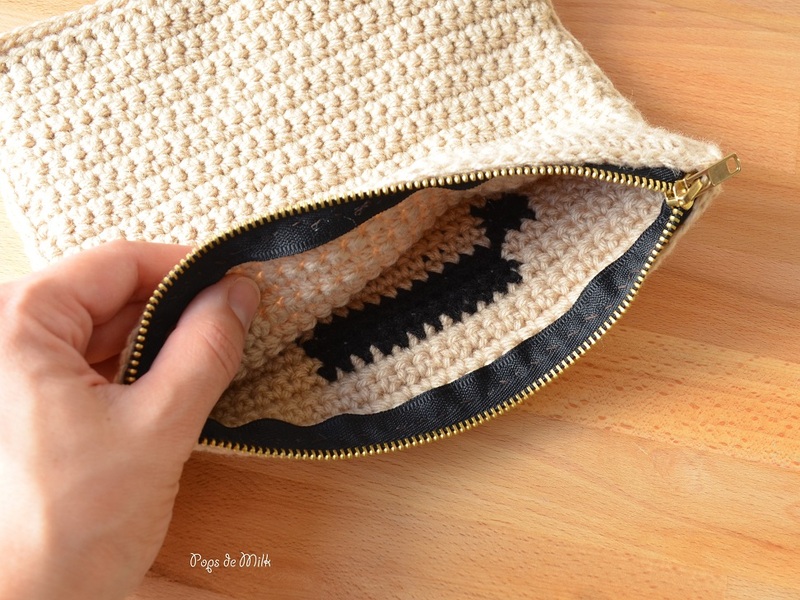 You can adjust the size of the pouch by using different hook sizes and yarn as well as tension. 1. ch 30, sc in 2nd ch from hook and each ch across OR make 30 fsc (foundation single crochet), turn. Work even until there are 30 rows total. Fasten off and weave ends. To add a finishing touch I used a yarn needle and black yarn to stitch over any gaps on the number 1. 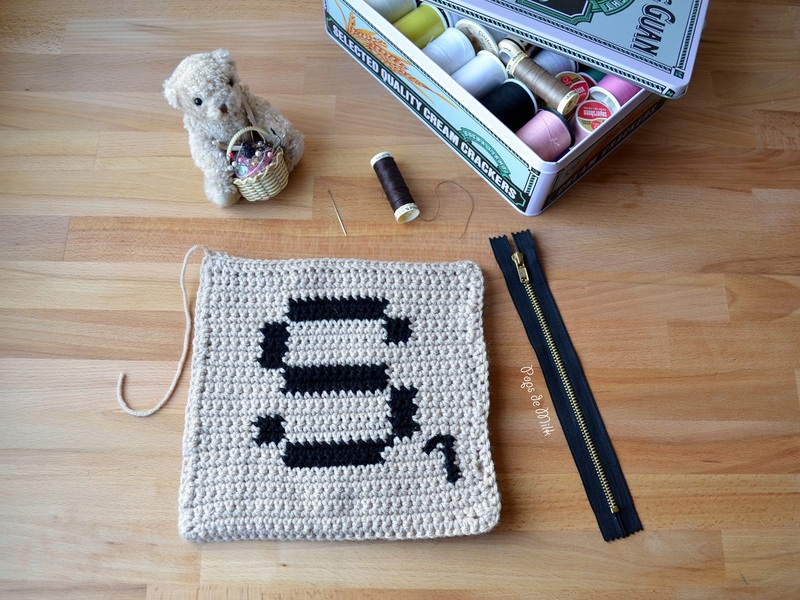 Make the second square in solid colour using the same pattern but do not fasten off. 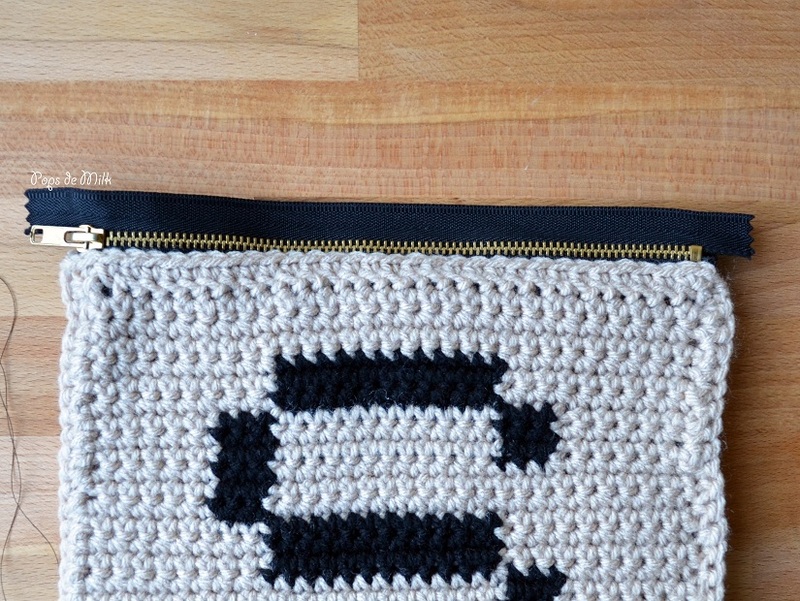 There are two options: 1. join the squares by sc along sides of rows, bottom, and opposite side rows and tops OR 2. sew the zipper to one square and then the other, then join the squares by evenly working sc along sides, bottom, and opposite side but not the tops because the zipper will already be there.